To the average person, the offense of Forgery probably doesn’t sound like something that occurs on a regular basis. The term “forgery” usually conjures up the image of a shady artist carefully recreating some poor, unsuspecting victim’s signature and then passing themselves off using the victim’s identity. While an act like this most certainly would be forgery, the offense in Texas actually encompasses a broad range of activities and, because of that, it is much more common than most people realize. a person commits an offense if he forges a writing with intent to defraud another. Simple enough, right? Not quite. The simple definition of forgery begs multiple questions. For instance, what is the definition of “forge?” And, what is the definition of “writing?” This is where the net gets bigger. The legislature defined “forge” in Sec. 32.21(1) to include a wide range of acts. These include altering, making, completing, executing, or authenticating any writing with the intent to defraud in addition to issuing, transferring, registering the transfer of, passing, publishing, or otherwise uttering a writing that is forged. What is a “writing” you ask? Well, the legislature decided to stretch the net even further by defining a writing as a printing or any other method of recording information as well as money, coins, tokens, stamps, seals, credit cards, badges, trademarks, symbols of value, right, privilege or identification. 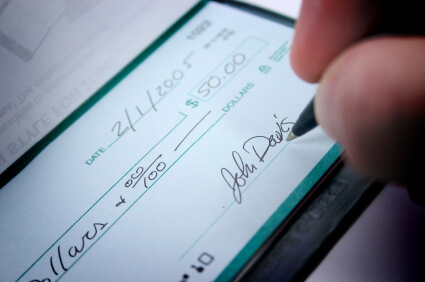 Most forgery cases in Texas deal with the writing or passing of forged checks or fake currency. Occasionally, we see cases involving credit or debit cards charged as forgery (although there is another offense in the code more accurate to charge these types of offenses). While we see quite a few of these more common offenses involving checks, I can’t say that we’ve ever seen as case of forgery involving publishing a symbol of privilege with the intent to defraud. But, as you can see the net is wide and I’m sure someplace, sometime one of those exotic forgery fishes will be caught up in the State’s tangled web. Allen walks into Walmart, picks out a nice computer and matching desk, loads both into a shopping cart and proceeds to the exit. Of course, before he can make it out of the store, the infamous receipt-checker stops him at the door. Allen shows a fake Walmart “receipt.” Unfortunately for Allen, the receipt-checker isn’t as dumb as he was hoping. The receipt checker quickly identifies the receipt as a phony and Allen is detained while police are called. These are the general facts of Shipp v. State, a Texas Court of Criminal Appeals case released last week and designated for publication. In Shipp, the appellant was tried and convicted of the state jail felony offense of Forgery of a Commercial Instrument. With his enhancements, punishment was assessed at 20 years in TDCJ-ID. Is a Walmart receipt a “Commercial Instrument” under Texas’ Forgery laws? 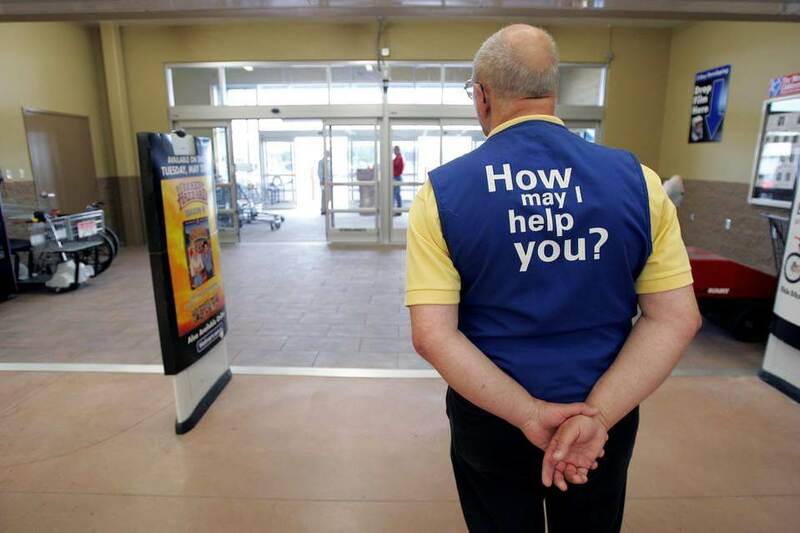 There was no testimony provided here to demonstrate that a receipt issued by this Wal-Mart store is anything more than the memorialization of a past transaction, as opposed to other kinds of things granting or ceding future benefits or rights listed in Section 32.21(d). The 6th Court of Appeals used the statutory construction doctrine of Ejusdem generis (you can read the opinion for more, but simply put, when general words in a statute follow specific words, courts should look to the specific words for meaning) to arrive at its conclusion that the legislature did not intend to include such items as a Walmart receipt in the statute . the phrase ‘or other commercial instrument’ must also refer to a document that creates or discharges an economic obligation or that transfers property. Presiding Judge Keller points out that a receipt has consistently been considered a “document” for purposes of the forgery statute (citing all the way back to 1884 – wow!) but is not an “other commercial instrument” for purposes of making it a state jail felony level. Thus, in her opinion, Shipp should have been prosecuted for a misdemeanor offense. I would never have imagined a Walmart receipt being a “commercial instrument,” but apparently it is, so says the Court.